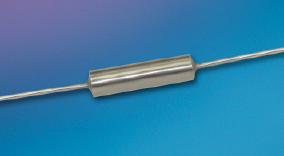 The Kulite Low-Pass Mechanical Filter (LPF) is designed to provide effective static-pressure equalization for any miniature differential pressure transducer. The LPF eliminates signal corruption in the audio frequency regime by attenuating the transmission of acoustic pressure waves to the differential transducer via the reference tube. The LPF is particularly valuable in providing effective static-pressure equalization for acoustic measurements and dynamic pressure measurements in which the reference tube is also exposed the measurand. The compact LPF design enables the device to be easily attached via soft, elastic tubing to the reference tube of a differential pressure transducer. In-situ static pressure calibration can easily be conducted through the LPF. The LPF can quickly be removed to reuse the transducer for a different test application.